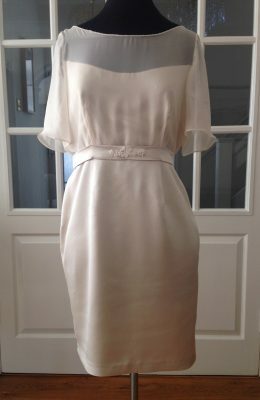 Anita wanted a simple yet elegant dress with strong clean lines, with the emphasis being more on the beauty of the fabric. 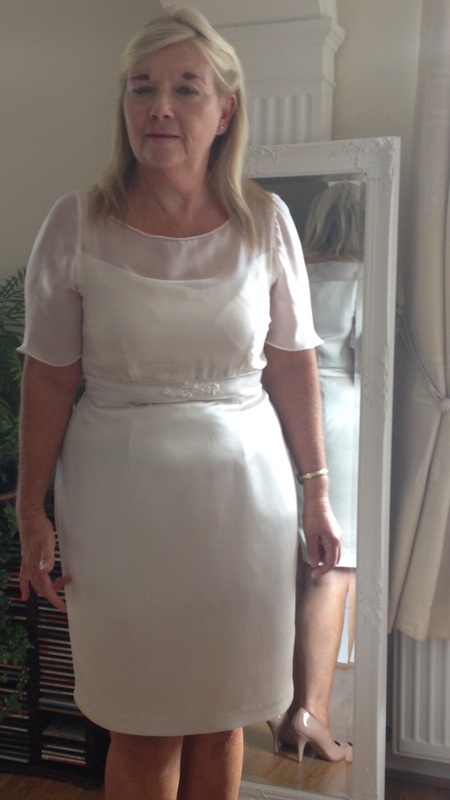 Anita got her inspiration from a dress worn by Kate Middleton. 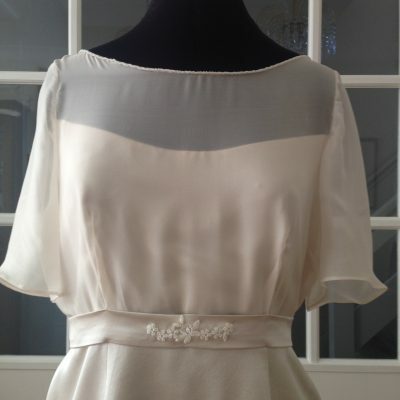 Anita liked the shimmer of silk satin chiffon over silk satin crepe. Both fabrics are light and fluid yet hold their shape well. The fitted bodice has a scoop neckline which is embellished with beads. The subtle lace appliqué draws your eye to the sash at the waist. The back has a keyhole opening and is fastened at the neck with a single covered button and loop. A simple silhouette with elbow length sleeves. 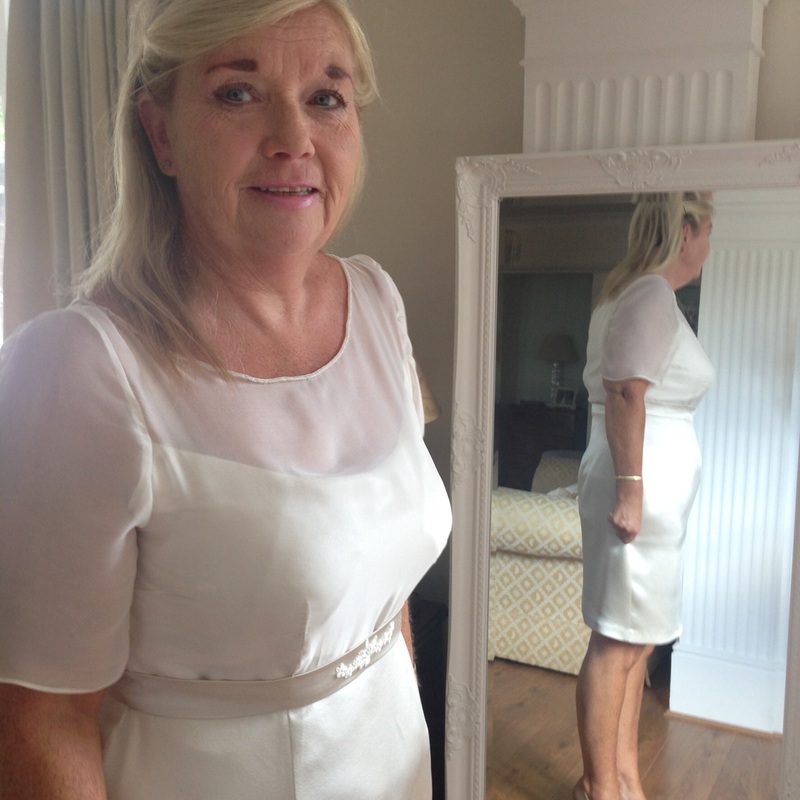 Anita chose a sea-pearl colour which looked absolutely stunning on her for her son’s wedding. Just wanted to say a huge thank you for my beautiful dress, everyone said it looked lovely and said the colour was gorgeous and suited me. I would not hesitate in recommending you and will be contacting you soon about another dress. Thank you so much for all your kindness.